The search experience is new and improved with a map for searching so you know where you're looking. You can now share individual venues if there is a website to share. Leaving the map then coming back should now bring you back to where you left off. Lots of bug fixes for new users that have never logged in. Including one where we now show the tutorial so people know what is going on. Better handling of situations where the server isn't behaving properly. 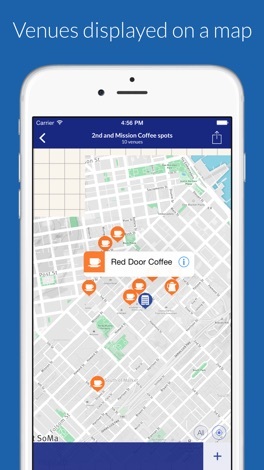 "Where" is the best way to store the locations that matter to you, all displayed on an easy to use map. 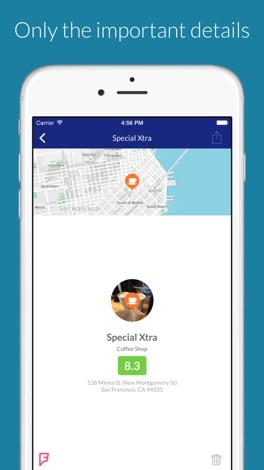 "Where" syncs up with your Foursquare lists, including all the venues that you've saved, allowing you to easily access ratings, tips, and reviews for all your favorite places to eat, drink, shop or visit. "Where" makes it easy to discover new places related to other places you've saved. - plan a trip and find restaurants, cafés, lodging, airports and bus stops that you want to visit. - see your list of favorite local coffee shops on a map. - see all of the countries you've visited on one unified map. 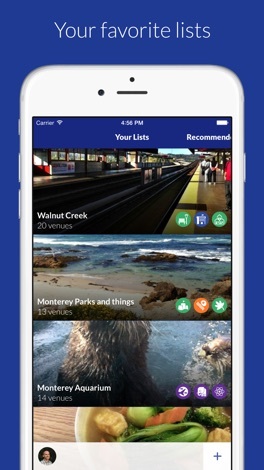 - show a visiting friend all of your favorite places in the city. The BFlex app is an “on the go” Monthly Reporting Tool for the AF & KL Passenger Divisions. It provides a monthly comparison of Budget vs. Forecast vs. Actuals across different Sales hierarchy levels for various KPIs. It also provides a possibility to record user comments and share them over the email. Shallow but Difficult. Simple and Nostalgic. Addictive. Take the challenge! Play this game of strategy, eagerness, patience, persistence, and determination. Your goal - dodge the falling 'pork barrel' - The question - Can you do it? The Davis Family Agency app empowers their real estate business with a simple-to-use mobile solution allowing clients to access their preferred network of vendors, and stay up to date with the latest real estate updates. What’s In My Burger ?